Harrington and Richardson .32 Caliber 5 Round Revolver with leather holster. Serial # 110255, Pat. 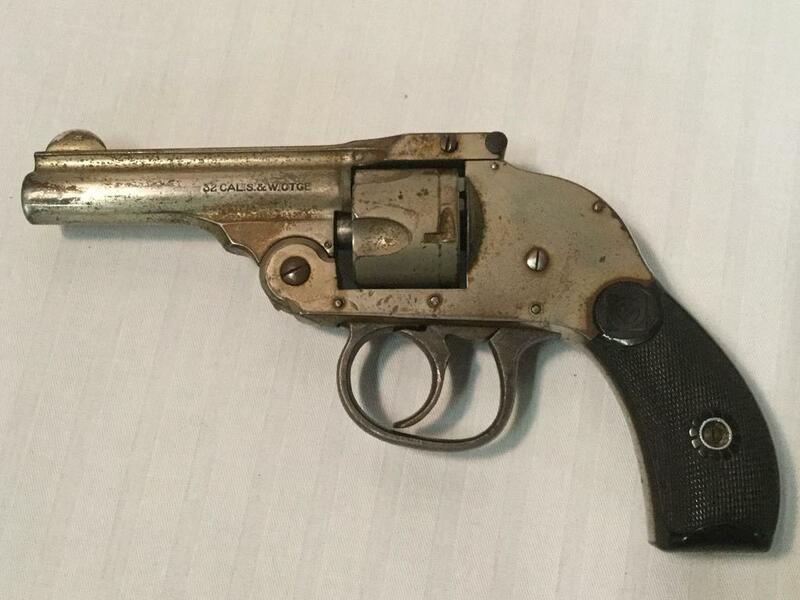 Harrington and Richardson .32 Caliber 5 Round Revolver with leather holster. 3 inch barrel. Serial # 110255, Pat. Apr. 7, 96. FFL Terms & Conditions: Crawford Family Auctions will be working with J & S Gun Parts of Olympia, WA. All firearms sold with the FFL required statement will have an additional fee per FFL filing; Local buyers will be charged a $30 fee for a background check, transfer paperwork & handling. Out of state buyers will be charged a $20 fee for transfer paperwork and handling. Shipping will be a separate charge if needed.